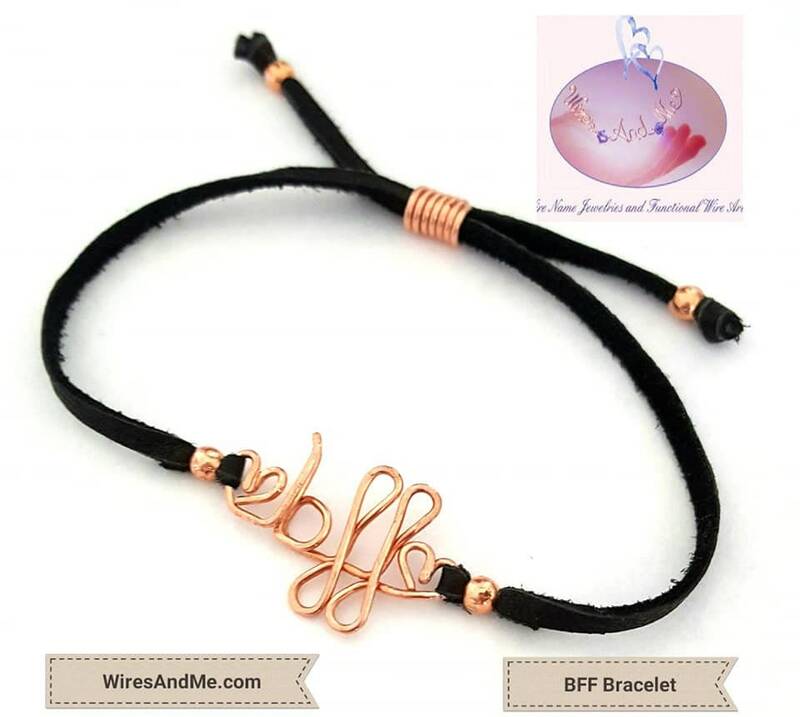 Personalized Wire Name Leather/Faux Suede Bracelet and can be accented FREE with Swarovski Crystal Birthstone. 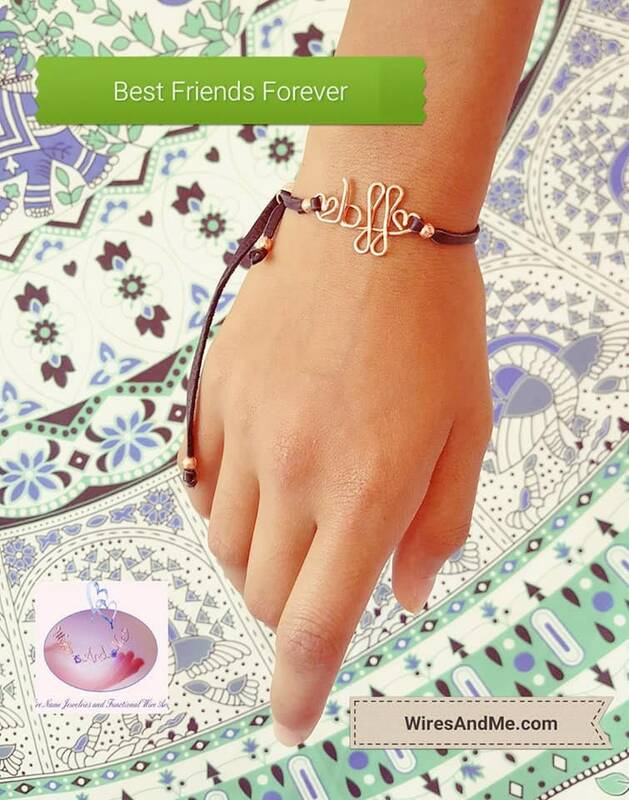 This bracelet is adjustable. Personalized Names and findings in pure copper. 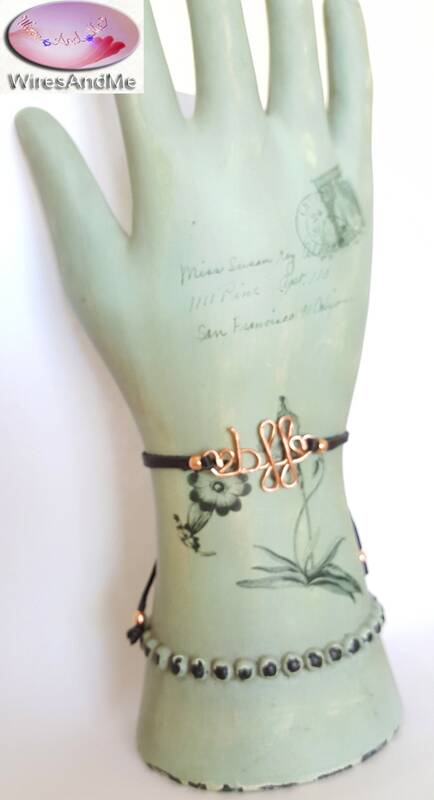 Copper is said to have healing properties; Copper, the healing mineral you can wear on your wrist. NOTE: Message me if you want birthstone (FREE) between the word and heart at the end. 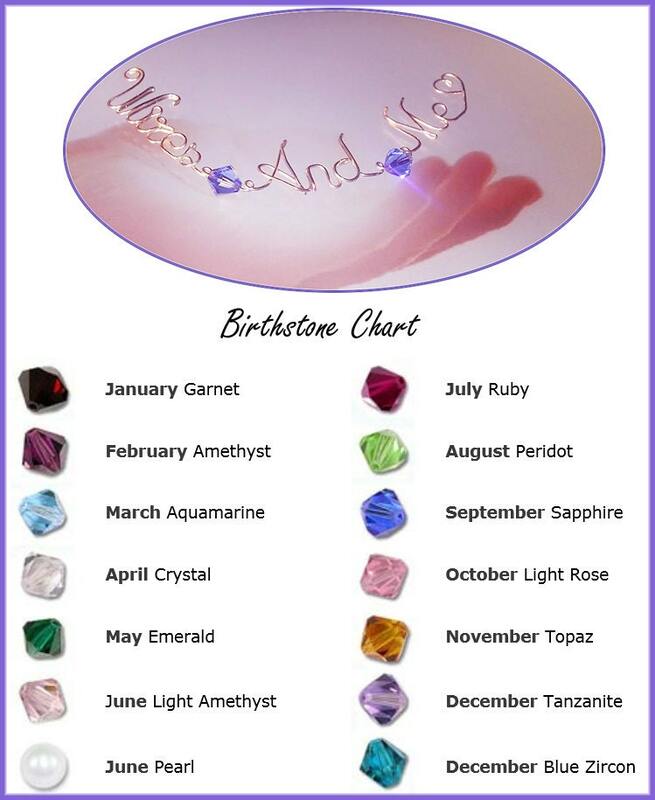 Please refer to birthstone chart image shown. 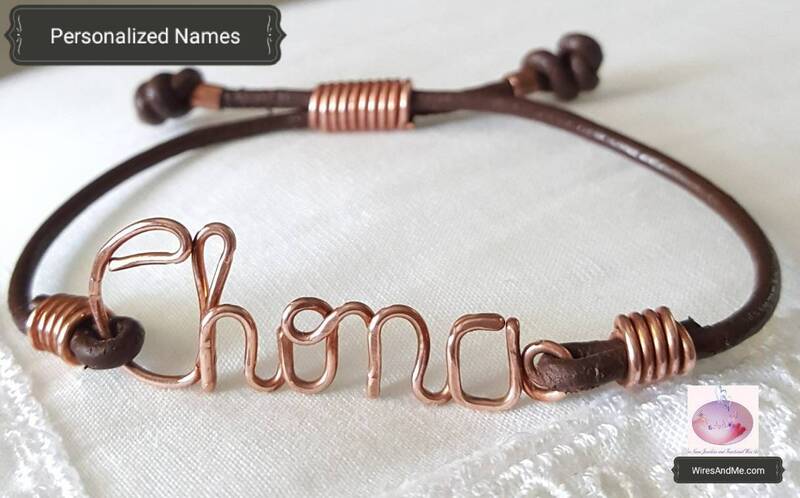 Personalized to any Name you Wish...a Perfect and unusual handmade gift for all occasions of any age... All orders comes with FREE Jewelry Gift Box for easy/instant gift giving! ♡ Please do not hesitate to message me for any question or more info. I'd be happy to help. 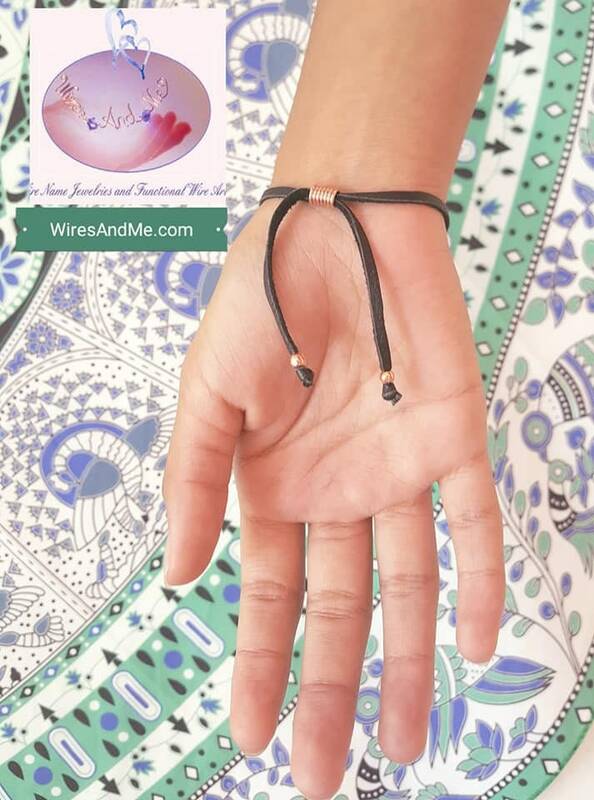 Other bracelet designs to consider: https://wiresandme.patternbyetsy.com/shop/14607351/bracelets?